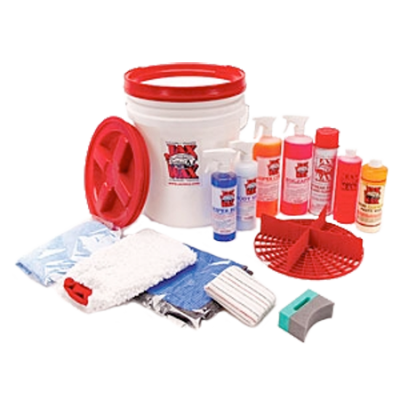 The Jax Wax Complete Scratch-Free Wash and Detail Car Care Bucket Organizer Kit is all exclusive and contains Everything to make Scratch-Free Cleaning and Detailing your vehicle to a Showroom Fresh condition easy! This inclusive car care kit also contains everything that you need to easily maintain it as well! This Jax Wax Complete Scratch-Free Wash and Detail Car Care Bucket Organizer Kit has been put together by professionals to ensure that you have everything that you need in one place instead of searching and purchasing all the car care products you need separately, and at a savings of almost 50%. The Original Easy On, Easy Off Carnauba – Creates an Unmatched Brilliant, Durable Finish -It’s Easy to use! Separate the Grit from the Mitt! The scratches and swirls on the surface of a vehicle are caused by improper car washing. Dirt and grit from the vehicle’s surface are trapped in mitts and brushes. 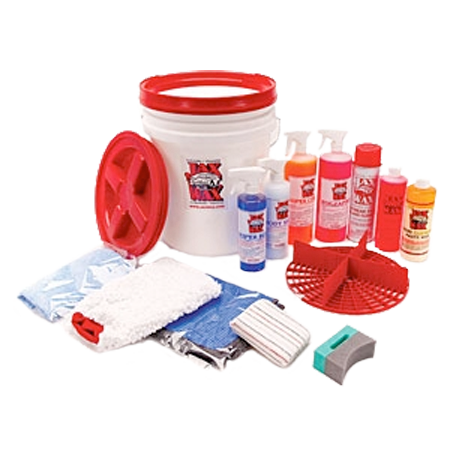 This Commercial-Grade 5 Gallon bucket has a resealable Gamma-Seal Spin Off lid that also makes it easy to organize your Detail Goodies when you are on the go. Also makes a great seat! Extremely absorbent, these waffle weave towels hold nine times its weight in fluids. It can actually be used in place of chamois. The durable “scratchless” (patent pending) piping on this towel will not scratch painted or clear coat automotive finishes. 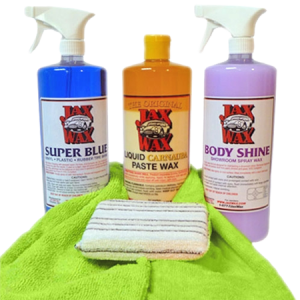 Be the first to review “Jax Wax Wash and Detail Car Care Bucket” Click here to cancel reply.